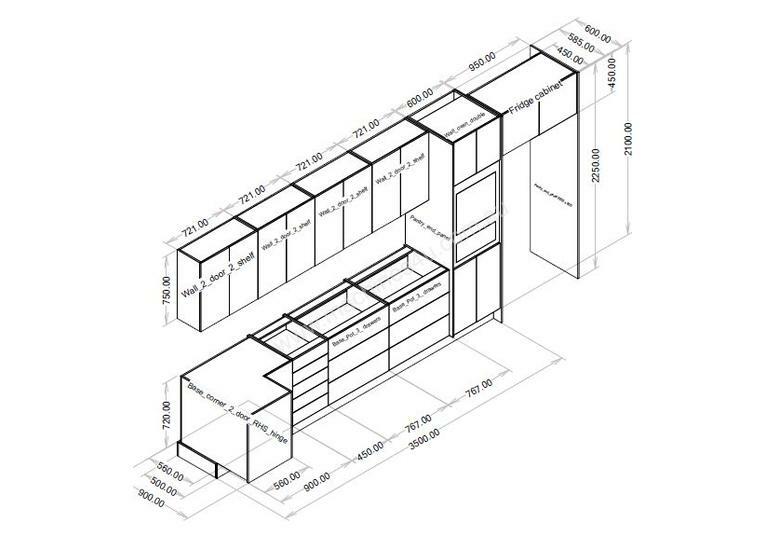 Polyboard is an affordable cabinet design program where you design cabinets in full 3D with hardware and machining operations fully editable and can be viewed in 3D on the cabinets. The software produces detailed parts drawings and shop drawings. If you have CNC machinery these parts can be exported straight to the machine. or parts can also be imported into popular nesting software such as Biessenest, Enroute, or Aspan for flat bed nesting machines. 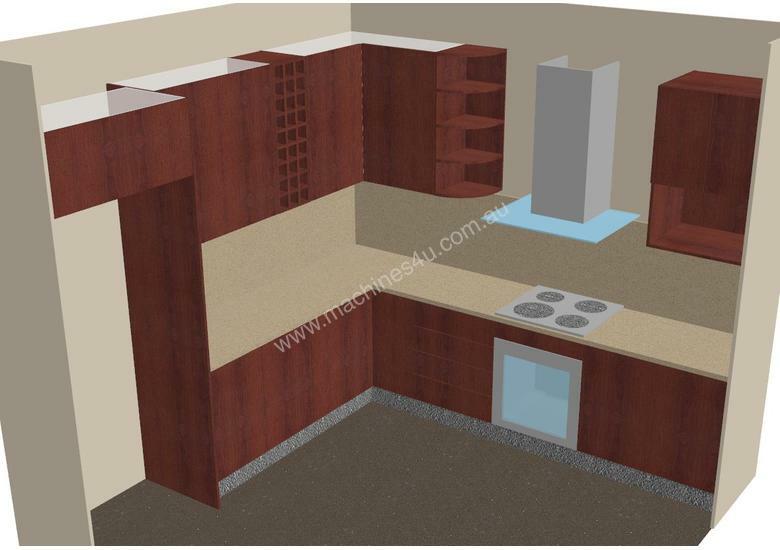 - Unique Flexible Design - use to create Kitchens, offices, shop fittings, entertainment units, Bedroom furniture, etc..
- Allows for shaped panels with a very easy system of implementing it. - It has a clever system of parameterising not only the parts of the cabinet but also the cabinet attributes such as panel materials edging, hardware etc. 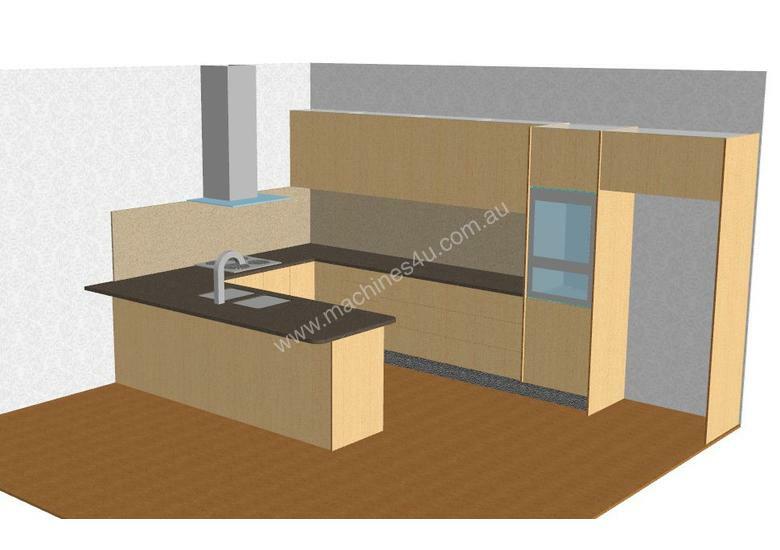 so you can generate new similar cabinets very quickly based on the manufacturing method. - It has a variety of cabinet styles, such as regular 4 sided, l shaped, corner cabinets, and has a very easy method of altering the basic regular shape. 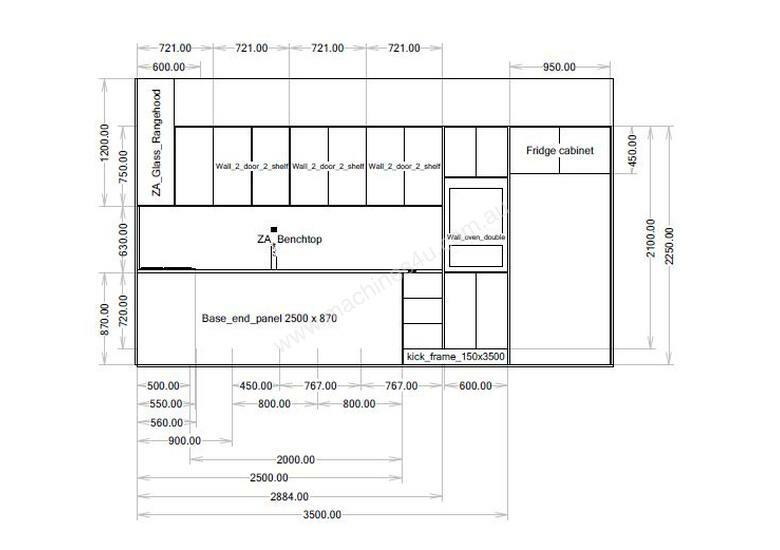 - It allows for the design of room layouts in 3D such as kitchens and offices. 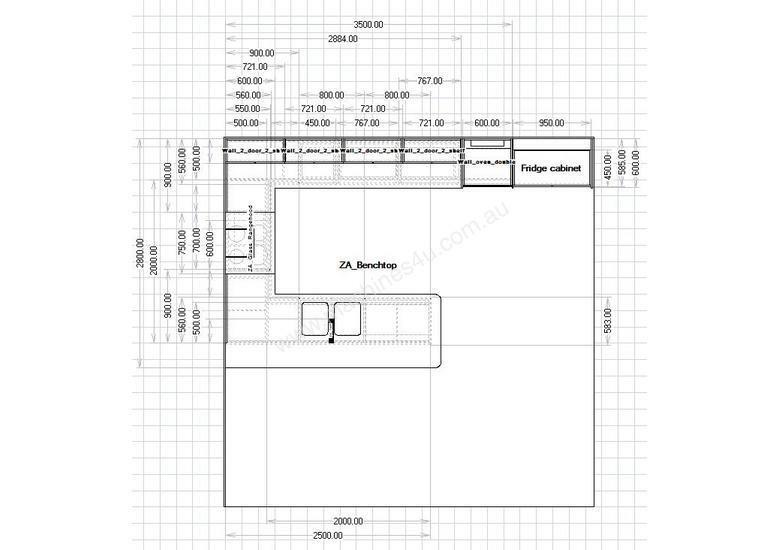 and can export the whole layout as a job lot. Economically Priced, Discounts for multiple licences. Polyboard really excels as a production software Because is it shows you the hardware on 3d image which virtually eliminates mistakes.